Several reasons abound why companies, or more specifically their management teams, care about their company’s stock price and want it to perform well in the market, whether on the Stock Exchange, or Over-the-Counter (for unlisted shares). For a publicly traded company, its stock price can often be a barometer for the company’s health. There are exceptions to this rule, but a company’s stock price reflects investor perception of its ability to earn and grow its profits in the future. Typically, the higher the stock price, the more optimism about the company’s prospects. Since a company’s share price is often used as an indication of the overall strength and health of the company, as the stock price climbs over time, the management is considered to be doing a good job. If shareholders are happy and the company is doing well, as reflected by its share price, the management would likely remain and receive increases in compensation. However, if the company is not performing well and the share price is declining, the executive management is at a high risk of being removed by the Board of Directors, who are elected by the shareholder. In short, if shareholders returns are unfavorable and the share price lags, management would likely be removed. Compensation is another important reason for the management of a company to keep the stock price as high as possible. Executives may receive part of their compensation in the form of stock options, which gives them the right to purchase shares of the company at a future date and a set price. Over time, for the option to gain in value, the stock price would need to rise. Issuance of stock options to executives is an incentive to align the interests of the executives with the overall business strategy, and the shareholders. A healthy stock price is a barometer for a company’s financial health. Financial analysts are constantly scrutinizing a company’s earnings performance and expected future earnings. Analysts and investors look favorably on companies with well-performing stock prices along with a track record of solid earnings. Many financial ratios use the stock price of a company in their calculations. For example, the price-to-earnings ratio, or P/E, measures whether a company’s stock price is appropriately valued relative to earnings. By analyzing a company’s financial data along with its stock price, investors and analysts can determine whether a company is financially viable. The stock price is often an early indicator that market participants are either happy or worried about the company’s prospects. A favorable stock price is critical for a company seeking equity financing. Companies initially receive capital with an initial public offering of a company’s shares. However, additional share issuances can be used to raise billions of dollars in capital. Equity financing allows a company to fund expansion efforts, pay down debt, and purchase other companies. As long as there’s healthy demand for the stock, a company can sell more shares to the public to raise capital. However, it’s important for management not to issue too many shares, thus diluting its outstanding shares. If there are too many shares in the market, there may not be enough demand or buyers for the additional shares. As a result, the stock price might suffer leading to negative consequences for existing shareholders. Also, creditors tend to look favorably upon companies whose shares are performing strongly since there’s a correlation between a company’s earnings and its share price. Over the long term, strong earnings are a good indication that the company will be able to meet debt requirements. As a result, the company may receive cheaper financing through lower interest rates, leading to a stronger balance sheet. The prevention of a takeover is another reason that a corporation might be concerned with its stock price. When a company’s stock price falls, the likelihood of a takeover increases since the company’s market value is cheaper. 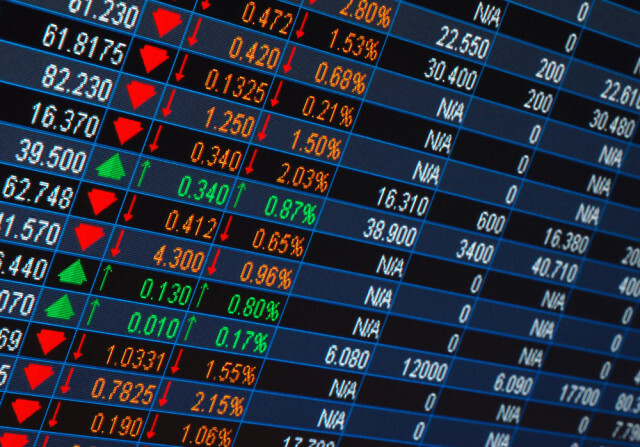 Publicly traded companies have shares distributed over a large base of owners who can easily sell at any time. To accumulate shares for the purpose of a takeover, potential bidders are better able to make offers to shareholders when the stock is trading at a lower price. For this reason, companies want their stock price to remain strong to prevent a hostile takeover. If a takeover occurs, the management of the company is often let go, which again, goes back to management protecting its interests. Conversely, a company with a rising stock price is in a better position to take over another company. With a solid stock price, the acquiring company would be better positioned to finance the acquisition with new equity shares without worry of deflating the value of their shares. Equity financing for a takeover avoids having to take on more long-term debt which can be far more costly to the acquiring company. In short, a rising stock price on the back of solid earnings enables a company to be in a better position when it comes to mergers and acquisitions. If a company’s stock price is performing well along with the company, the company is likely to receive more favorable press from analysts and the media. The larger a company’s market capitalization, the more analyst coverage a company would likely receive. Media and analyst coverage is a form of free marketing that helps to spread the word about a company’s products and services to a wider audience.